Cold conditions expected across PEI next few days..
Sunday, January 13th 8:15am.. Cold Canadian high pressure centered south of Hudson’s Bay will drift slowly eastward over the next few days giving sunshine to the island through Tuesday although a weak cold front will cross the region on Tuesday. Not much moisture associated so maybe some clouds and chance of a flurrie. . A significant noreaster will be passing SE of NS on Tuesday and may just give a glancing blow to eastern Cape Breton. 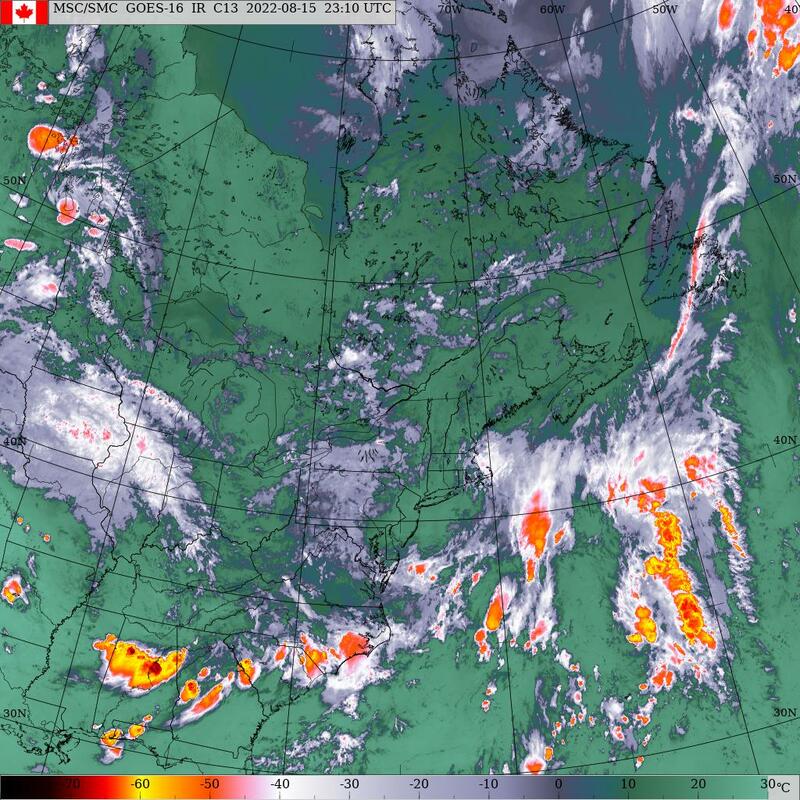 Right now clouds will be the only impact this system is expected to have for PEI. Sunshine returns on Wednesday morning with high pressure rebuilding in over the Maritimes but Clouds will thicken up through the day as an Alberta Clipper marches eastward through Quebec. The associated cold front, which extend to the south from the system will sweep across the island near dawn on Thursday morning. Flurries or periods of light snow will accompany this system. The front will also usher in another shot of cold arctic air for Thursday and Friday. Clouds will once again be on the increase on Friday as our next system approaches with snow beginning by evening. A frontal will then become stalled in a SW-NE fashion on Saturday. Another weather system will then ripple NE along the stalled frontal boundary into the island for Sunday. Next weekend is looking like a mess and way to early for details so will just continue to watch for now. Precipitation.. Few flurries on Tuesday.. Light snow Wednesday evening through dawn Thursday giving 2-4 cms. Wintery mix of snow-freezing rain-rain for the weekend. Temperatures.. Cold except for late Wednesday afternoon through dawn Thursday when tamps should be back to normal. Cold again Thursday and Friday. Warm-up for the weekend. Wind… Generally light westerly flow by day, calm at night today through Tuesday shifting to southerly for Wednesday then back to W-NW on Thursday. Calm Thursday night into Friday afternoon then increasing southerlies on Saturday. Hazards… Generally fairly quiet next few days other than the cold. Flash freeze possible on Thursday morning. Wednesday.. Sunny start becoming cloudy with light snow by evening possibly rain overnight, light-brisk south winds, temps -15 at dawn rising to 0 by midnight then +1 overnight. Thursday.. Morning clouds and flurries, clearing, light W-NW winds, temps +1 before dawn falling to -13 by noon. Friday.. Sunny start, increasing clouds, calm winds becoming light southerly late, temps -15 rising to -10 by midnight.